Top gainers on the 30-scrip Sensex were Reliance Industries, Kotak Mahindra Bank, Sun Pharma, Bajaj Finance and Asian Paints. The benchmark indices finished higher for the fifth day in a row. Domestic stock markets closed in the green on Monday led by energy and pharma stocks. 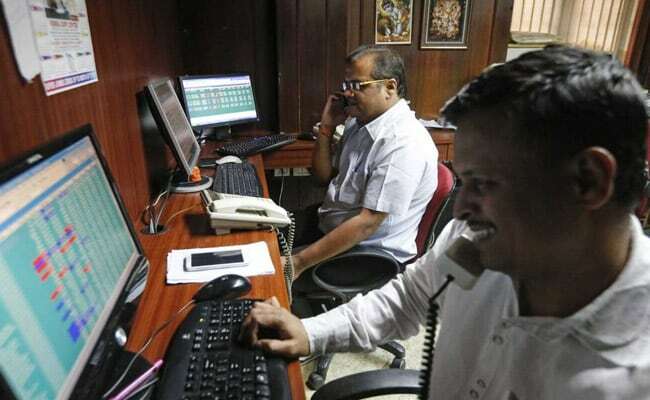 The S&P BSE Sensex ended 192.35 points, or 0.53 per cent, higher at 36,578.96, while the broader NSE Nifty settled at 10,961.85, up 54.90 points or 0.50 per cent from the previous close. Major advancers on the Nifty50 were Reliance Industries, Kotak Mahindra Bank, Bajaj Finserv, Sun Pharma and Bajaj Finance, which gained between 4.28 and 1.77 per cent. Seventeen out of 50 Nifty stocks finished the session higher. Top gainers on the 30-scrip Sensex were Reliance Industries, Kotak Mahindra Bank, Sun Pharma, Bajaj Finance and Infosys. The Sensex moved in a range of 36,701.03-36,351.77 during the session, whereas the Nifty rose as much as 10,987.45. The index touched a low of 10,885.75. "The market momentum has continued into this week," news agency Reuters quoted Siddhartha Khemka, head of retail research at Motilal Oswal Securities, as saying. "Stocks, especially heavyweights, have gained on the back of last week's good quarterly numbers, and that has buoyed the sentiment." Kotak Mahindra Bank shares jumped after the private sector lender reported a 23 per cent rise in net profit for the December quarter. Shares closed 2.73 per cent higher at Rs 1,274 on the NSE. Shares in HDFC Bank, the country's biggest lender by market value, closed at 0.71 per cent higher at Rs 2,145.40 on the NSE. The private bank had on Saturday reported a 20.31 per cent rise in the net profit for the three-month period ended December 31. Shares in Wipro closed 2.80 per cent lower at Rs 336.45 on the NSE. The shares dropped despite the IT major last Friday reporting a 30 per cent jump in net profit for the three months to December 31. Hero MotoCorp was the biggest drag on both the benchmark indices. The automaker's shares closed 3.99 per cent lower at Rs 2,783 on the NSE. Meanwhile, the rupee weakened to 71.22 against the dollar as Brent futures, the international benchmark for crude oil, climbed to a two-month high of $62.94 per barrel.